There are tons of unique ways to restyle the pallets to gain functional designs of tables. Tables are needed everywhere in home and play a very vital role in daily routines. 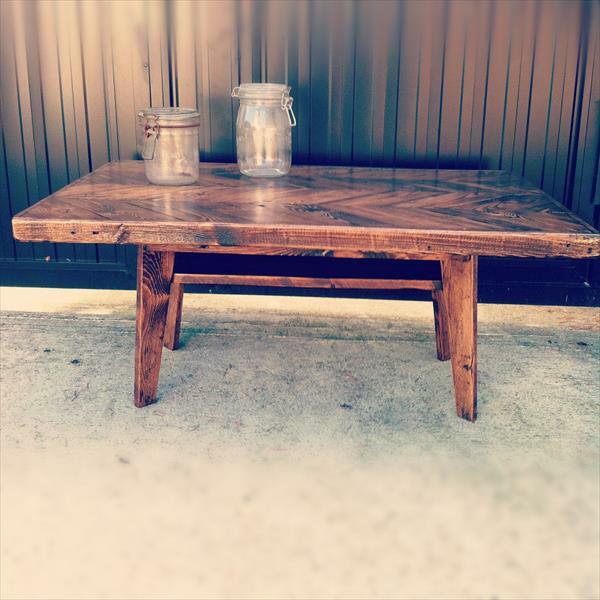 This amazing DIY pallet coffee table has been dimensioned using naturally weathered pallets found from a dumping ground. You can check the ash heaps, surrounding scrap piles and also the nurseries to gain a sufficient quantity of pallets. 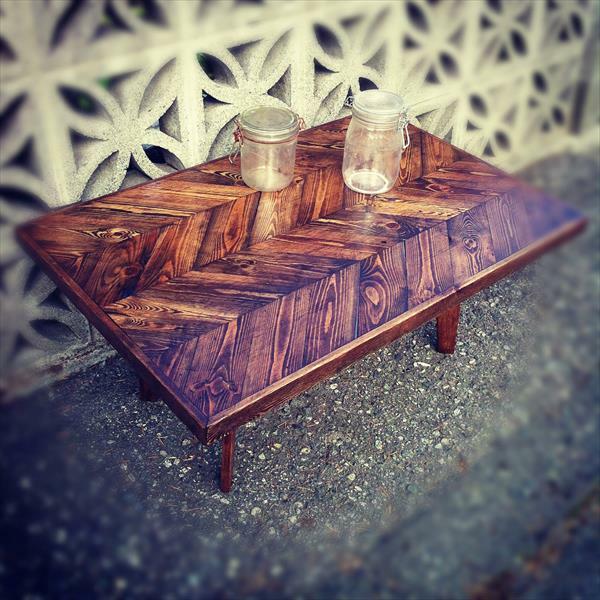 This appreciated design of table has been given a chevron styled top that make it more pretty and pleasing to eyes. It can serve at both patio and living room locations due to its ecological and environment friendly nature. 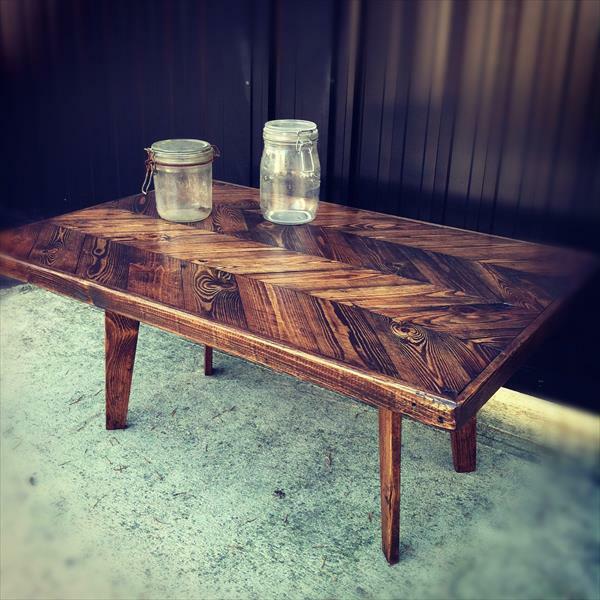 This is most useful DIY pallet furniture to construct beautiful tables so cheaply as everything has so high prices in this modern age of inflation. 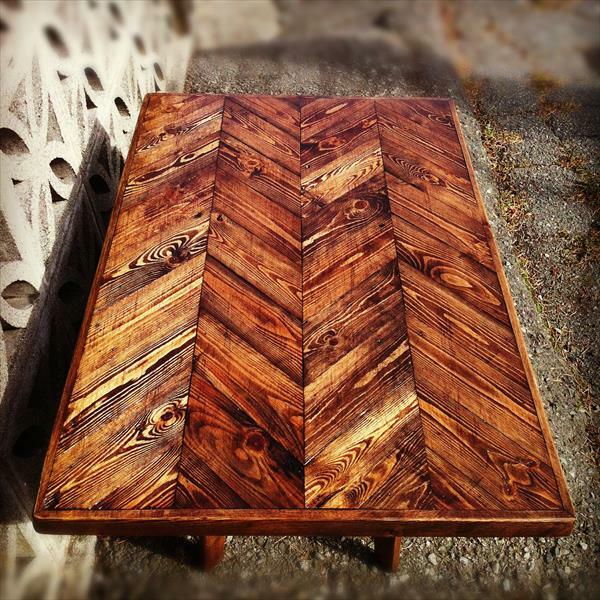 Table has been stained for a dark wood tone and has also been sealed with polyurethane to resist the beverage spills.